The Urban Redevelopment Authority has short-listed the developers competing for the right to re-purpose the 93,671 sq. ft. Hunt Armory in the heart of Shadyside. The URA will select from Walnut Capital, Kratsa, Mosites Co. and Sutton Development to move the project forward. From bid results of the past week a couple of highlights: Mosites Construction was low on the Pittsburgh International Airport’s $10.5 million south baggage handling system modernization. Pipeline Systems was low on the $10.4 million upgrade to the Bethel Park wastewater treatment plant. Advantage Steel & Construction was low on the $14.7 Van Port Bridge repairs for PennDOT. Weddle Bros. Construction is underway on the $13 million expansion to Cook Myosite in the RIDC O’Hara Industrial Park. Rendering by Neyer Inc. of the first building at Clinton Commerce Park Phase II. 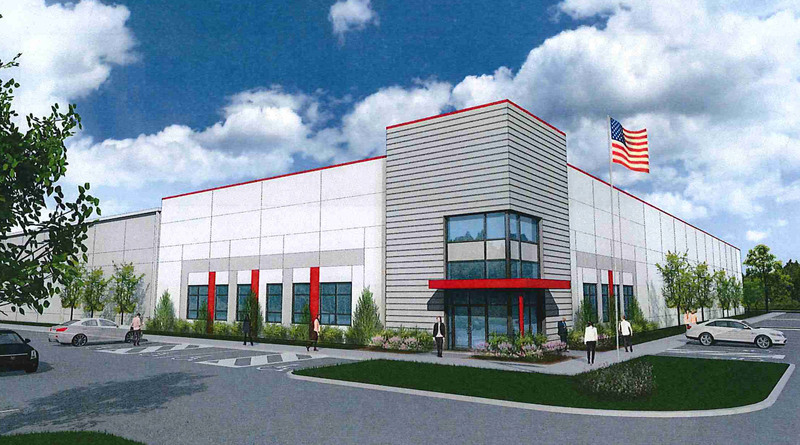 CBRE announced that Al Neyer was ready to start construction on the first of two Class A spec warehouse/industrial buildings in the second phase of the Clinton Commerce Park. The first building will be 252,000 sq. ft. with a second 215,000 sq. ft. warehouse to follow.